Hi! 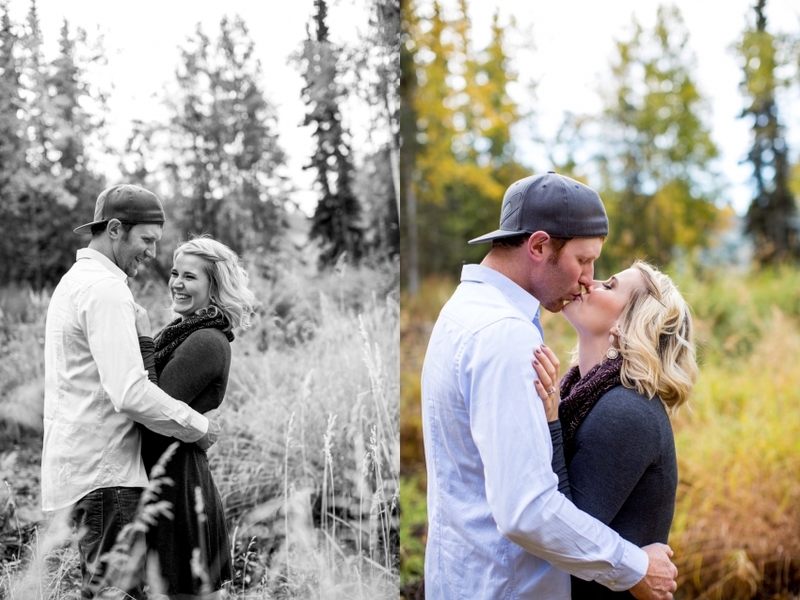 I'm Kristin Cooley and I'm a wedding and portrait photographer here in Alaska. I live on the Kenai Peninsula, but I photograph weddings and portraits all over Alaska and even destination weddings. Planning a wedding in Hawaii? Fiji? Or some other exotic destination? I'm your girl! I recently got married, so if you have any wedding planning questions, please don't hesitate to ask. I know, first hand, how overwhelming wedding planning can be, but with the right tools, tips, and tricks it can actually turn out to be a lot of fun! I was born and raised in California, but I'm a true Alaskan girl at heart. I'm a dedicated fisherwoman and a lover of everything outdoors. In the summer, you'll find my hubby and I fishing into the wee hours of the night. In the winter, you'll find us snuggled up at home, spending time with our two little munchkins, Scarlett & Lincoln, having movie marathons, and spoiling our two dogs. Sometimes when I talk to brides, I get this feeling, it’s hard to describe. It lies somewhere in between, “I feel like I’ve known this girl for years, but we haven’t even met yet, we only just talked on the phone.” and, “Let’s be BFFs and have matching handmade friendship bracelets! !” (You know, those ones you made with embroidery thread in the 5th grade, complete with rainbow colored chevron patterns? Oh…my BFFs and I SO had those, we even started our own little shop and sold them!! See…I’ve always been an entrepreneur at heart. I digress. From the minute that Ayla and I first spoke on the phone, I instantly adored her. I wanted her to come over, drink wine in our PJs, and watch crap realty TV together. We immediately jumped into planning her and Kyle’s engagement session and when she told me about their four-legged furry child Oakley and asked if we could find a way to incorporate him into the session, I said of course!! I knew right then that we were going to have so much fun during their session. When you see Kyle and Ayla together, you immediately sense and know, not only how truly comfortable and happy they are together, but just how much fun they have with one another. I love a couple that love to laugh and Ayla and Kyle are definitely one of those couples. Kyle’s constantly teasing Ayla, but he’s always right there to follow it up with a sweet, loving remark (nice save buddy, I like your style). Ayla’s never shy with the witty comebacks either, she’s a girl after my very own heart. I’m not sure who I was more excited to meet that day, Ayla, Kyle, or Oakley, but I have to say they make one seriously adorable family already and I can’t wait until they make it “official”. Can we please talk about all of Ayla’s adorable signs?! Would you believe me if I told you that she made them all herself? Amazing right?! They’re something straight off of Pinterest!! 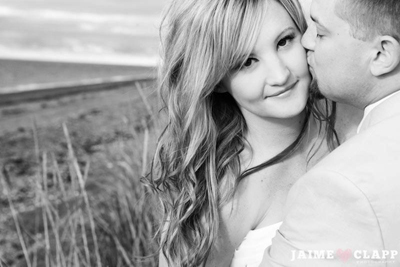 I’m so excited and honored to be photographing Kyle and Ayla’s big day at the Alyeska Resort. When Kristina and I first chatted about their upcoming wedding, she initially told me that they weren’t interested in an engagement session, just wedding day coverage and of course immediately my heart sunk. I talked a little about how important engagement sessions are, not only for us to get to know one another, for my couples to get comfortable in front of my camera, but also for me to see how they interact with one another as a couple. The more we talked and Kristina explained, I quickly realized that Kristina did want engagement photos, but it was Stefen who was hesitant. Once Kristina told me Stefen loved to fish and he had his own boat, I knew I hit a gold mine. I suggested maybe we could convince him to do the engagement session, if we incorporated his boat and it was all over from there. First we talked about Tutka Bay as a possibility, but when Kristina mentioned that Stefen’s family friends, the Maurys, live in Halibut Cove, my heart skipped a beat. Halibut Cove has held a pretty special place in my heart ever since I took my very first trip across the bay back in June of 2013. If you don’t know the story of Halibut Cove, do yourself a favor and look it up, it’s a pretty special place, with a very unique story. Here’s the thing, I’m a firm believer in putting things out into the universe and maybe…just maybe, they’ll come to fruition. The other day I was reminded of this post I made on Facebook and I couldn’t help but laugh to myself how funny things work out sometimes. Once we decided on Halibut Cove for our location, my excitement level was of course sky high. The more Kristina and I talked over the weeks that followed, the more the suspense built. Spend the day with a sweet, down to Earth, fun loving, ourdoorsy couple, in a gorgeous location?! Have I mentioned I love my job? The boat ride over to the cove was such a great chance for us to get to know each other, I immediately felt so comfortable with both Kristina and Stefen and knew we were going to have a fun day…even if I did get eaten alive by mosquitoes. Hey, it’s not an Alaskan summer photo session if I don’t walk away with bug bites. Watching the two of them together reminds me so much of me and my husband. Stefen is just as sarcastic and ornery as Justin is, loves to fish and hunt and teases and pokes at Kristina, but if you watch closely, you can see how much he truly adores her and watches after her, even when she’s not paying attention. I could not have had more fun with Stefen and Kristina during their engagement session in Halibut Cove and I cannot wait for their wedding day. A big thank you to the Maurys for inviting us as their guests to the cove and sharing their gorgeous piece of Alaska! Okay, can we please talk about this adorable gear shed/bunk house? I mean really. When we started the session off here, I knew it was going to be an awesome day. Who doesn’t love a good pair of Xtratufs? Am I right? Halibut Cove…I think I’m in love with you. Really Kristina? Just stop it with all of your gorgeousness already. When we came across this adorable little pathway covered in greenery, I need we just had to stop for some photos here. 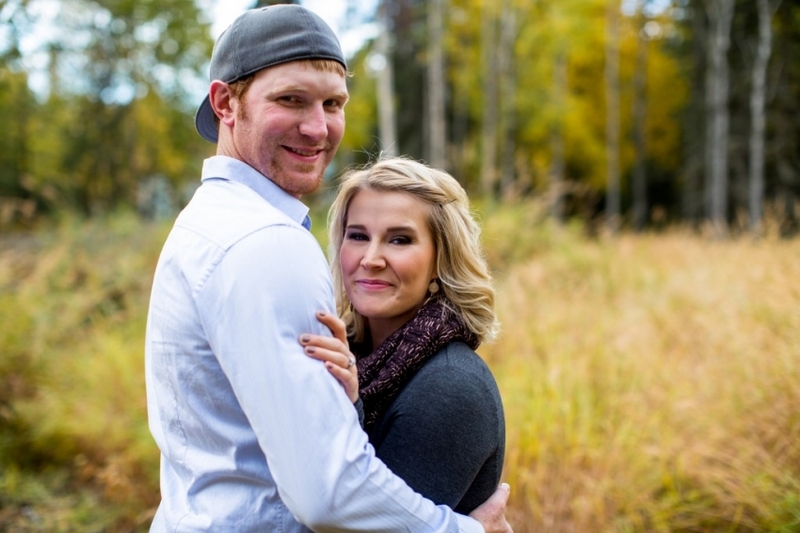 Just a few short weeks ago I met up with Delainey and Justin for their engagement session. When I originally asked Delainey if she had any ideas for fun locations to have their session, she told me she hadn’t really thought about it. I typically ask my couples if there’s anywhere special to them, like maybe where he proposed or a place they spend a lot of time, maybe where they like do to something fun, like fishing, going camping, or any place they have a fun memory from. The more we got to talking, Delainey brought up the idea of heading up to Skilak Lake for their session and my ears instantly perked up. 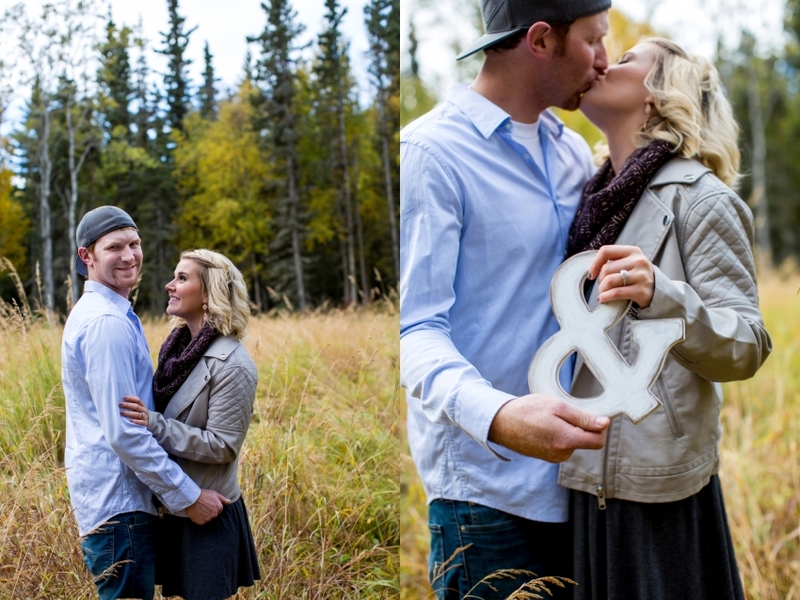 I’ve been DYING to photograph a couple on this adorable bridge at the Lower Skilak Lake Campground…done!! We had a location. Delainey and Justin are one of those couples that you can just feel the love between them. I absolutely love engagement sessions, they are so crucial for me to get to know my couples before the wedding day, to see how they interact with one another, and as silly as it may sound, how they love one another. No two couples are the same. The way that Justin looks at Delainey, anticipates her every move, and watches her when she doesn’t even know it, warms my heart. They couldn’t be more perfect for one another. Watching the two of them laugh, joke, and just have fun together was one of my favorite parts. When Justin makes Delainey laugh, she does the cutest thing, she scrunches up her nose and makes the most adorable face. Trust me, you’ll see what I mean in the photos below. I had a blast getting to know Delainey and Justin during their engagement session and I cannot wait for their wedding tomorrow at The Cannery Lodge. I’ve been struggling with this post for a while now. I’ve drafted it in my mind more times than I can count. As some of you may have noticed, I’ve been a bit absent from the blog for a while. I have a real inner struggle I deal with when it comes to personal vs. business blog posts. My blogging life began as just that, a blogger. I didn’t have a photography business back then, just an extreme passion for photography and a pipe dream of possibly making it my career one day. I blogged about all sorts of random things like making Justin a Valentine’s Day dinner, getting a new car, and eventually our move to Alaska! When I started exploring my photography more, my posts started morphing into more photography focused topics like CreativeLive classes I was inspired by, second shooting jobs I started taking on, new photographers I’d discovered online who were inspiring me, and a slew of other topics. Anyway…my point is I fell into this place where I was only putting up personal posts and nothing business or photography related. I fell behind in posting my sessions, I got too busy with my full time job, weddings, sessions, the new baby coming, and just life in general and didn’t blog any of my sessions or weddings. I let life get in my way, as we all tend to do sometimes. Then, guess what? It snowballed. Miss Scarlett decided to show up 5 weeks early. I was off work for 3 months and had all of these grand plans to catch up on my photography stuff (I can hear all of you veteran moms out there laughing at me right now) and of course all of that went out the window. My 3 months home with her went by in a flash and I was back to work before I knew it. I went back to work, went back to shooting weddings, seniors, engagements, and then guess what? We got pregnant again! Now here’s an even funnier thing that happened to add on top of that. Anyone who knows me knows what a HUGE fan I am of Jasmine Star. I don’t think fan even begins to describe it, I’ve been following her work ever since my wedding photographer introduced me to her blog when I first started second shooting for her and getting into photography. I was watching her CreativeLive ReSTARt course and I had asked the question, “What’s a good ratio of personal blog posts to business/photography posts?” Jasmine actually addressed the question live in front of the audience. Her response was something to the effect of a good ratio is ONE personal post to every FOUR business posts. She then went on to say that sharing your personal life is great and it helps clients to connect with you, but you definitely want to keep a good balance on your blog of both personal and photography-related posts. Jasmine’s words really hit home with me, probably too much. I did what I always do, I took them to heart…I let them stick with me in a way I shouldn’t have. I had that moment sitting there watching her course going, “Crap…I’m a mommy blogger…all I’ve been doing is blogging about my pregnancy and I haven’t blogged any of my weddings or sessions or anything business related in AGES.” I had already felt guilt ridden before hearing her words and then it just compounded in my head and I did what I always do, I internalized it and let it eat at me. I let it become a block for me. I let it stop me from moving forward. It’s been a HUGE mental block for me since then. I sat there and thought to myself, “Okay, no more blogging about the kids or personal stuff, keep that to a minimum, keep it strictly business.” In typical Kristin fashion, I overanalyzed it. Then you know what happened? I came to my own realization that it’s all about balance. I was just overthinking and internalizing what she’d said. Why do I love Jasmine and her blog so much? Yes, she shares business tips and tricks, but the things that truly make me connect with her are the things that make her REAL. Like her love for Polo (her adorable sweater-wearing Maltese), the fact that she can’t cook worth a lick and owns it, her love of books, the stories and struggles she’s shared about her mom’s cancer, all of those things are what make me keep coming back to her blog and connecting with her as a person. I want my clients to connect with me because of the person I am. I’ve had brides book me because I’m a mom. We’ve bonded over newborn and toddler stories, dirty diapers and silly shenanigans of 2 year olds. That post I wrote that I was so nervous about posting because I cussed on my blog for the first time? I actually had a bride contact me and tell me she LOVED that post because she procrastinates too and she knew right then and there that she liked me and wanted to contact me about possibly shooting her wedding! I have seniors who I meet for the first time at their session and because we’re already friends on Facebook they instantly start asking me how the kids are doing and say things like, “Your kids are so adorable!! I love that picture you posted the other day! !” It’s things like that, that make me realize that putting myself out there is not only okay, but it’s what makes my clients connect with me and most importantly trust me. They can get a feel for me and the type of person I am, from my blog, my Facebook, and maybe even my Instagram before we’ve even met in person for the first time. Coming to the realization that it’s just all about balance was huge for me and there are definitely going to be a whole lot of changes around here. I have so many sessions and weddings to post and even some fun stories to tell, like the fact that I actually got to freakin’ MEET JASMINE STAR!! Oh yea, just wait for that post. My fan girl heart pretty much exploded those few days I got to spend with her, you have no idea. I’m also working on a new website, a new blog layout, and a few other fun, exciting things. So stay tuned for lots of changes around here and don’t hesitate to keep me accountable, I’m always up for a good accountability partner. What big changes and updates have you made lately? Let me know in the comments below. After deciding to stay in for the night, Kurt made a quick run to the store to buy Jenna a bottle of wine. Little did she know, her life was about to change forever. Upon returning, Kurt poured Jenna a glass and went about his way, checking his phone. Seeing this, Jenna got frustrated and scolded him to get off his phone already and spend time with her. “Just drink your wine.” Kurt insisted. In true Jenna fashion, she snapped back with, “No, you can’t make me and now I’m not gonna!” Kurt attempted to take the glass back, but of course Jenna snatched it up and told him, “You can’t just take away my drink!” and as she took her first sip, she spotted it. There at the bottom of her glass was her shiny new engagement ring and as she looked up in shock, Kurt got down on one knee and asked her to marry him. We had so much fun during Jenna and Kurt’s engagement session, I had only just met them that day, but after talking on the phone with Jenna once, I felt like I’d known her for years. I’m so incredibly honored they chose me to photograph their upcoming wedding and I honestly couldn’t be more excited for their big day. Lisa - The ones of them in that field of purple flowers are insane! Great work girly!! © 2019 Kristin Cooley Photography │Kenai, AK │Alaska Wedding, Engagement, Portrait, Family, Senior Photographer|ProPhoto theme by NetRivet, Inc.